Today's the last day to enter the Mothering magazine giveaway — a free one-year subscription for yourself, or a much-appreciated last-minute gift for a fellow parent. And you'll love this week's beautiful pictures on the topic of "Breastfeeding" over at Natural Parents Network! Hope you can stop by and check out my WW post when you get a chance. That looks like reason enough to me! This is the first year we got through it without my boys screaming like the kids in "A Christmas Story". LOL I'm so bad...I've never taken my daughter to see Santa. She could probably handle it now at 3 but oh well. Merry Christmas to you and your family! We're not visiting this year either. My photo of the kids from last year was much worse than yours. My son was screaming so much it looked like the blood vessels in his head were going to explode. I have seen much worse! Good idea :) He is adorable! There was a time when I was too young for Santa . . . he scared me badly! I have a photo of me with Santa and the look on my face was priceless. Thanks for hosting this WW linky . 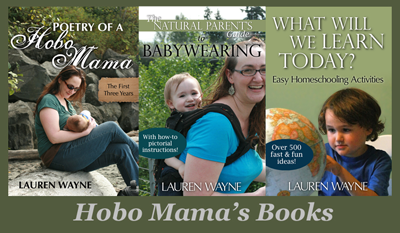 . . come by and link up to mine . . .
my little one does that too! he's so cute! Oh my! What an expression. He is kind of a scary looking guy when you're so little. I've decided against seeing Santa this year, at least for sure for my youngest. He doesn't really like anyone except Mama right now. Priceless. My daughter was TERRIFIED of Santa, until this is...and she is almost 4! Merry Christmas! Oh that little lip quiver... poor guy! I don't really want to "do Santa" and this year we didn't do the obligatory Santa picture, which I'm surprised I haven't gotten flack over yet. I just know that J will flip her lid because A) she hates strangers B) if I turn my back to her when she's even with someone she's attached to she freaks (sometimes) and C) Santa even scares me! Oh my gosh, this picture is a classic! Love it! 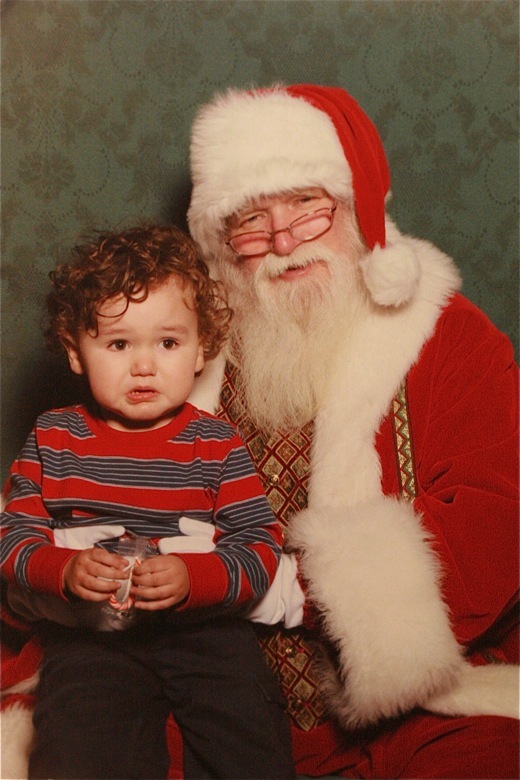 My toddler was also not impressed with Santa this ear! Thanks, everyone! I'm glad we're not alone. :) The full-on screaming meltdown happened just after this picture was taken. This year, he won't even get within eyesight of Santa! So far Michael hasn't been afraid of Santa, but then, we've never had him sit on his lap. We skipped a fee years with Santa for the same reason. I took #3 this year though & he did surprisingly well. Santa was a great guy though so it helped! Maybe next year!